Twenty years ago, the anthropologist and archeologist Walter Alves Neves revealed Luzia to the world. That's how he named the oldest skeleton found in Brazil, one that revolutionized scientific theories revolving on the human occupation of the Americas. Luzia's skull, an icon of Brazilian pre-history, was inside Rio de Janeiro's National Museu during last Sunday's fire. The fossil is supposedly lying under a mound of rubble, and museum employees haven't been so far able to reach it. "It's an irreparable loss," Neves says, remarking that such destruction will have a calamitous impact on the research on human evolution in the Americas an Brazil. Luzia's "father" says to be in deep mourning for what he calls "a crime against Brazil and the humanity." 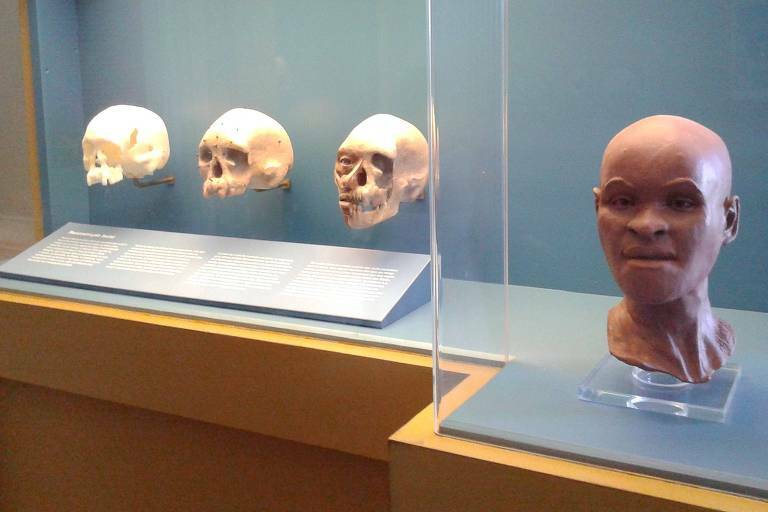 "Besides Luzia, the museum housed the biggest collection of skeletons of the early Americans from Lagoa Santa," says Neves, who is a retired faculty member from University of São Paulo (USP). The 11,000-year-old fossil, found in Lagoa Santa, Minas Gerais, between 1974 and 1974, brought international attention to Neves' theory that the American continent was occupied by two separate Homo sapiens migratory waves, originating from Northeastern Asia. According to him, generations of scientists studying human evolution in the continent will have their work affected. However, he says he keeps a copy of Luzia's facial reconstruction at USP.